This weekend, my sister and I enjoyed time at Virginia Beach with our mom. Beth and I wanted to treat our mom to some sun, sand, and girl time. Unfortunately, the weather did not cooperate – chilly, drizzly, and very windy does not make for a good beach day :/. What do the Burgess women do when we can’t sit on the beach? Shop! We were already planning on stopping at the Williamsburg outlets on our way home, so we headed to the Barrett Street Antique Mall. With their website describing the mall as “a 28,000 square foot, indoor climate controlled building with a large outside lot with garden, patio, and outdoor decorations,” we knew it would be the perfect way to spend a rainy afternoon! They had quite a few unique items and interesting pieces. One of the first things we noticed were the bikes hanging from the ceiling. Now that’s not something you see at any old antique store! At approximately 3’ tall, this pirate ship would be a true treasure for any young boy and his friends to play with. These distressed tin panels were difficult to get a good picture of because they were displayed high on the wall. We liked them though, and I can see them arranged on a mantel or in a gallery style collection over a sofa. Being a photographer, Beth is always drawn to old cameras. She also loved this vintage radio. While we were shopping, we discovered many unique chairs and chaises. I wanted to bring them all home, give them a makeover, and find the perfect spot for them! Unfortunately, we were limited in our space for the trip home. One of the first pieces we saw in the mall was this pair of ornate wooden chairs that reminded me of the chair Beth and I reupholstered a few months ago. 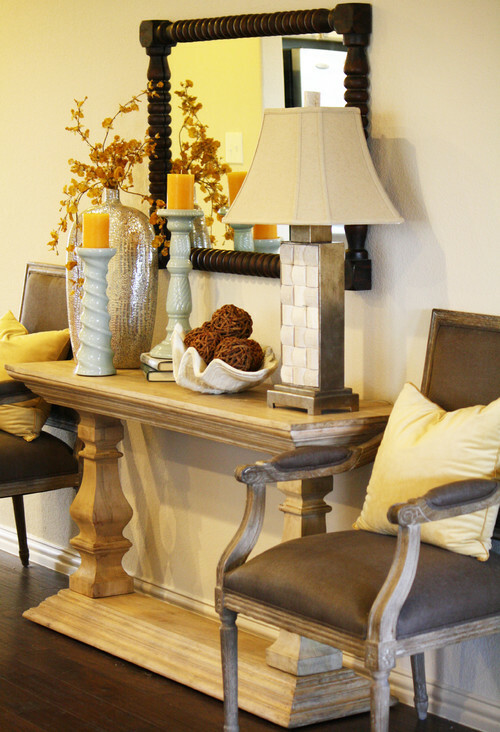 They could be used as extra seating in a dining room or to flank an entry console table. We also saw this Mid-Century modern hoop chair. I love Mid-Century modern pieces, and this one reminded me of a Bertoia chair. The hoop chair would be cute used on a sun porch or outdoor patio. My favorite things we saw were a few different chaise lounges. Chaise lounges have a very feminine and proper feel to them. I like the idea of refreshing the piece by painting the wood a fun color and reupholstering it with a fun fabric. They had this one that had already been redone with distressed white trim and a blue floral fabric. Here are a few other inspirational ideas I found online. What girl wouldn't want to read and lounge on this colorful, floral chaise? Another bold statement would be a patchwork pattern. Any little girl would be the envy of the neighborhood with one of these hip pieces in her bedroom. If bright and bold is not for you, softer patterns and neutral colors would also make a beautiful piece. The detail of the skirt on this chaise softens the piece without making it feel heavy. For a preppy or beachy feel, wide stripes and patterned pillows are the perfect combination. While I was inspired by all of these chairs and chaises, none of them made it home with me. I did manage to bring home one item though. This beautiful glass decanter immediately caught my eye as it is the perfect shade of peacock blue to coordinate with our new dining room and living room colors. It is a Holmegaard glass (a Danish company established in 1825) Kluk Kluk decanter. In an eBay search, I found the same decanter selling for anywhere from $35 up to $100. I paid $40 for mine, so I feel like I found a pretty good deal! I’m not sure where it’s permanent home will be, but we do love it! Despite the weather, we had a great weekend relaxing, eating good food, and shopping! º What do you do at the beach on a rainy day?